John (Jack) Williams Bowey IV, 67, went to be with his Lord and Savior on Tuesday, January 22, 2019, at Northern Colorado Medical Center in Greeley, Colorado. He passed away unexpectedly but peacefully, surrounded by loved ones, due to complications from heart issues. A memorial service will be held at 2:00 pm, Saturday, February 9 at First Baptist Church in Sterling with the Rev. John E. Roberts officiating. Service will conclude at the church. Verlee (Lee) (Fiebig) Bowey. He graduated from Sterling High School and attended Northeastern Junior College for one year before transferring to Colorado State University to play baseball for the CSU Rams. Jack graduated with his Bachelor’s degree in Physical Education. Colorado, in 1977, and was still employed there at the time of his passing. Jack lived his life loving sports and being an athlete. He played on local fast-pitch softball teams for many years, and regaled his family with many tales of those teams’ travels and exploits. Jack officiated for high school football, baseball, and girls’ softball for four decades. He most recently completed the girls’ softball season of 2018, and was looking forward to umpiring another season next fall. Jack married Mona Reed in Sterling on July 29, 2000. During their years together, Jack delighted in serving in ministry alongside Mona in many capacities at First Baptist Church. 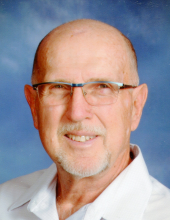 He was serving as an Awana leader, a high school youth group leader, a Sunday school teacher for youth, and the Church Council Chairman at the time of his passing. rejoice that he is now with his Heavenly Father. Jack is survived by his wife, Mona, his daughters Jessica Bowey, Nikki Bowey, Hannah (Corey) Thorpe and Lacey (Dustin) Zwirn, his son Cody (Rebeka) Mathewson, and five grandchildren. He is also survived by his brothers, Jim (Ronda) Bowey, Jay Bowey, and Jeff (Tami) Bowey, four nieces and nephews, and many, many friends and members of his church family. In lieu of flowers, memorials can be made to the Jack Bowey Memorial Fund, c/o Tennant Funeral Home, P.O. Box 1547, Sterling, CO, 80751. To send flowers or a remembrance gift to the family of John "Jack" Williams Bowey, please visit our Tribute Store. In lieu of flowers, memorials can be made to the Jack Bowey Memorial Fund, c/o Tennant Funeral Home, P.O. Box 1547, Sterling, CO 80751. "Email Address" would like to share the life celebration of John "Jack" Williams Bowey. Click on the "link" to go to share a favorite memory or leave a condolence message for the family.